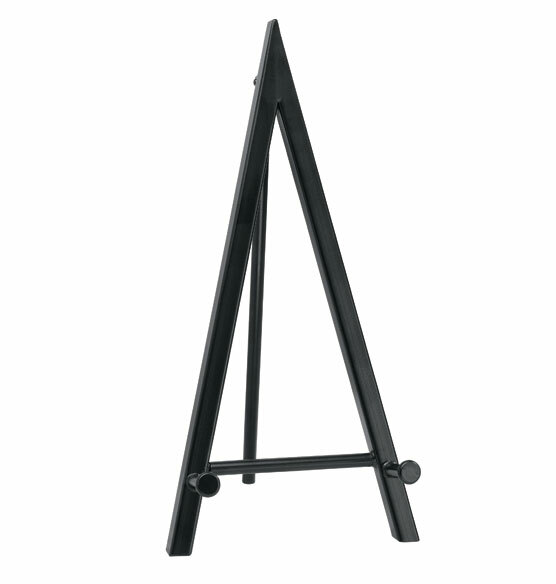 The simplicity of this sturdy metal easel is part of its charm, blending with any décor effortlessly. Use easel to support framed art as shown, or to display plates or other heirlooms. 7" x 7" x 14 1/2". 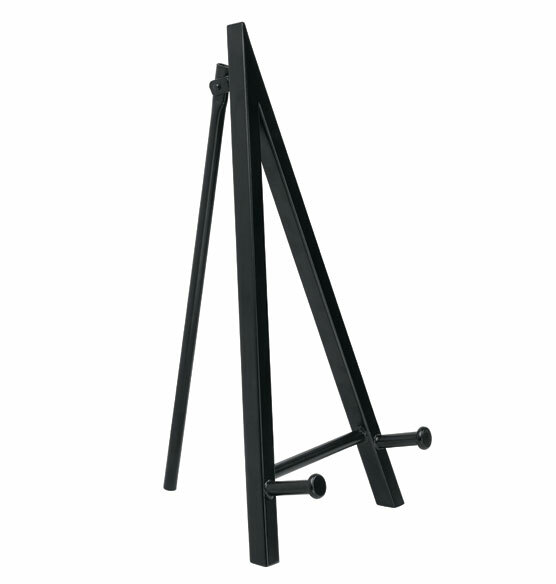 What is the largest frame that can be used with this easel? BEST ANSWER: Thank you for your question. Any frame that is lower than 20" high. We hope this information will be of help to you. What is the measurement between the peg and the bottom of the easel? I'm trying to elevate a picture that is behind another table top frame. BEST ANSWER: Thank you for your question. The measurement is 1 3/4" between the peg and the bottom. We hope this information will be of help to you. What is the length of the pegs on this easel? BEST ANSWER: Thank you for your question. The peg sizes are 1½L x ½” diameter, the heads are 5/8” diameter. We hope this information will be of help to you.